The campaign for the 2019 European elections began on the 8th of November in Helsinki when the European People’s Party (EPP) elected Manfred Weber as our Spitzenkandidat. Through an open, transparent and democratic procedure, 734 delegates from the EPP’s member parties across the European Union were called to choose between two candidates – EPP Group Chairman, Manfred Weber and the ex-Prime Minister of Finland, Alex Stubb – who ran to become EPP’s candidate for the Presidency of the European Commission, after the 2019 European elections. The Spitzenkandidat process awards the Presidency of the European Commission to the candidate put forward by the European political party that wins the most seats in the European elections, provided that the candidate can then form a majority in the European Parliament. Therefore, we at the EPP are fully convinced that Manfred Weber will be the next President of the European Commission ahead of other political forces’ candidates, such as the Party of European Socialists’ lead candidate, the Dutch Frans Timmermans, selected via a back-door style deal. In the case of the Liberals, the lack of consistency is striking. In 2014, they had no issue putting forward a lead candidate. This time, however, as part of their ongoing courtship of French President Emmanuel Macron, who is against the process, they are opposing the Spitzenkandidat concept that they long advocated for. The EPP have pioneered the Spitzenkandidat process. 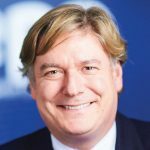 It was the late EPP President Wilfried Martens who first conceived of the system. While most European political parties (EPP, S&D, ALDE, Greens, Nordic Left) put forward a candidate in 2014, in 2009 the EPP was in fact the first European party to nominate a candidate for the European Commission Presidency, at our Congress in Warsaw. As pioneers of the process, we took this decision even before the Lisbon Treaty had come into force (1 December 2009) with its provisions relating to the European Commission Presidency nomination. The Treaty reinforces the role of the European Parliament- the only directly-elected EU Institution- in this process. Article 17 states that the European Council should take into account the results of the European Parliament elections when proposing the future President of the Commission. EPP’s support for this process is based on our belief that it serves to increase the transparency and legitimacy of the EU institutions by actively engaging European citizens in the election to EU’s most senior positions. The Spitzenkandidat process means that before the European elections are held, citizens have the chance to get know the figure who will be at the helm of the European Commission, as was the case five years ago. 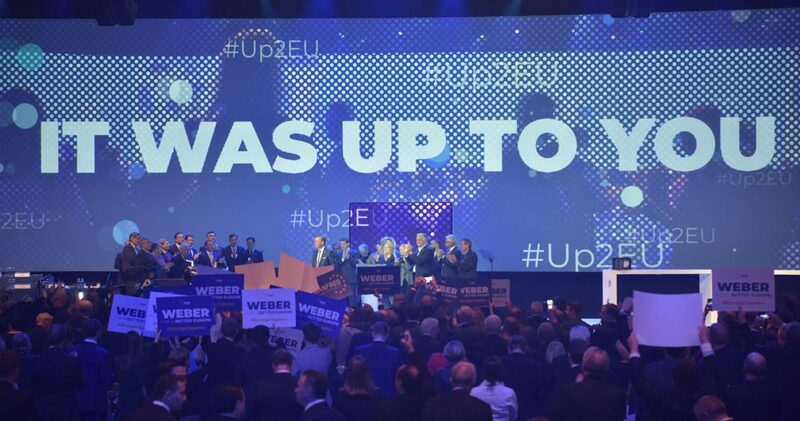 In 2014, EPP won the European elections, a feat they have managed uninterrupted since 1999. As a result of EPP’s victory, its candidate Jean-Claude Juncker became President of the European Commission. The Spitzenkandidat process brings citizens closer to the EU institutions by giving them a voice in who will be elected to lead the European Commission. This is increasingly important in an era in which the European project is being questioned and many view Brussels as a non-elected bureaucracy far removed from national realities. The Spitzenkandidat campaign brings the European Union back to its people, making it more visible and giving Europe a face. In 2014, over the course of 6 intensive weeks, Jean-Claude Juncker held 28 press conferences, gave more than 350 interviews and participated in 9 live presidential debates in 3 different languages. This Europe-wide campaign provided the candidate countless opportunities to listen and address the concerns, priorities and interests of people from all four corners of Europe, allowing them to present their visions for the future of our continent. It also provided citizens with the chance to meet, engage and debate with a European leader in their communities. While European citizens will already be voting next May to elect their representatives in the European Parliament, it is the Spitzenkandidat process that will also add a truly European flavour to the campaign. Often, European elections are dominated by local and national issues, leading voters to elect representatives based on issues outside the competencies of European institutions. As the Spitzenkandidat will campaign across the EU member states, this process will reinforce the pan-European nature of political debate and will ensure that European issues remain to the fore of the political agenda. Jean-Claude Juncker visited 35 cities in 18 different countries. This time, the aim is for our Spitzenkandidat Manfred Weber to travel to each EU member state. We have started the process much earlier and 6 months ahead of the European elections, we have already put forward our candidate. As in 2014, loud voices are claiming that the European Council will not accept or endorse the Spitzenkandidat. But as was the case in 2014, these naysayers will be proved wrong. The European Commission has already stated that this process has helped to reinforce the Union’s efficiency and its democratic legitimacy; the European Parliament has warned that it will reject any nominee for Commission President who is not nominated as a lead candidate and a number of heads of state and government have publicly backed the system. This clarity is also demanded by our citizens. According to a survey conducted in May 2018, nearly half of EU27 citizens affirmed that they would be more likely to go to vote if the Spitzenkadidat process is in place. The European Union cannot afford to falter on a bridge-building process between citizens and institutions. This process also strengthens relations between the European Parliament, European Commission and European Council. This project can only succeed if the institutions at its heart work together in harmony. It might not be a panacea but it is a bridge to full European democracy and towards a stronger Europe. Antonio López-Istúriz White is the Secretary General of the European People’s Party, and a Member of the European Parliament from Spain.